This Who am I? 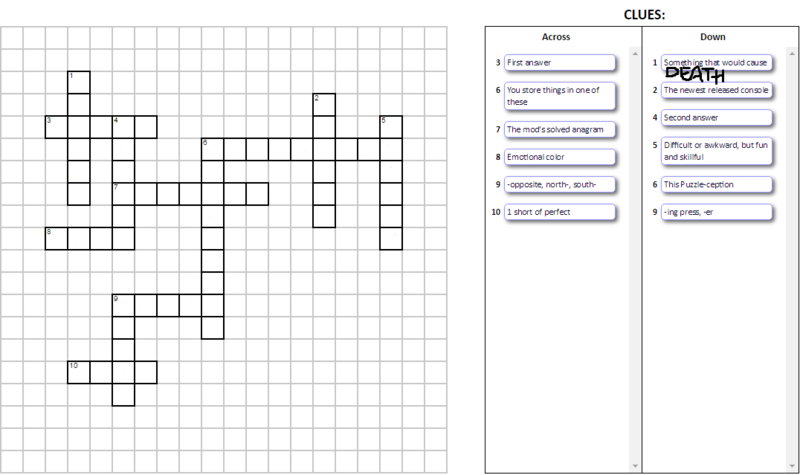 Is a little more in depth, with a few puzzles to solve to get to the final answer. First let's start off with a short story riddle. From the story you should get two answers. One is 5 letters, the other 6. An old man wanted to leave all of his money to one of his three sons, but he didn't know which one he should give it to. He gave each of them a few coins and said buy something that would fill their living room. The first son bought straw, but there was not enough to fill the room. The second son bought some sticks, but they still did not fill the room. The third son bought two things that filled the room, so he obtained his father's fortune. As you may notice, the answers you got from the story are inside here. Now if you look at those two specifically, and you figure out what's important about them together, you'll find two possible keys. The one you care about is the one that is not this puzzle. 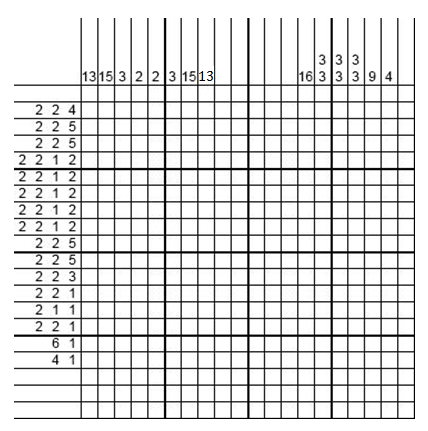 And now for a puzzle type I have started to learn, albeit not on this scale. There is something important you will want from this one too. (No the weird 13 is not important, it's just a editing mishap I promise). Now, if you have everything you need this part should be a piece of cake. And with that I ask, who am I? 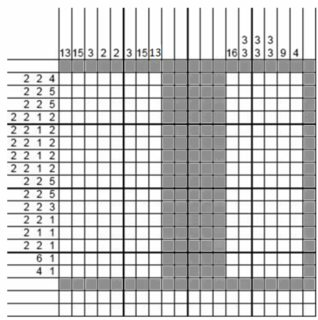 Grey represents an empty square, and black indicates a filled square. 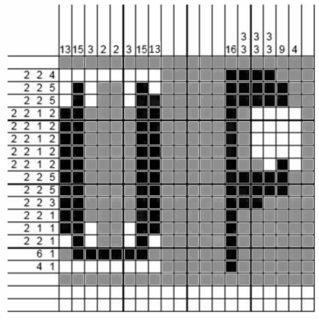 match and candle have the shared letter C in the crossword. 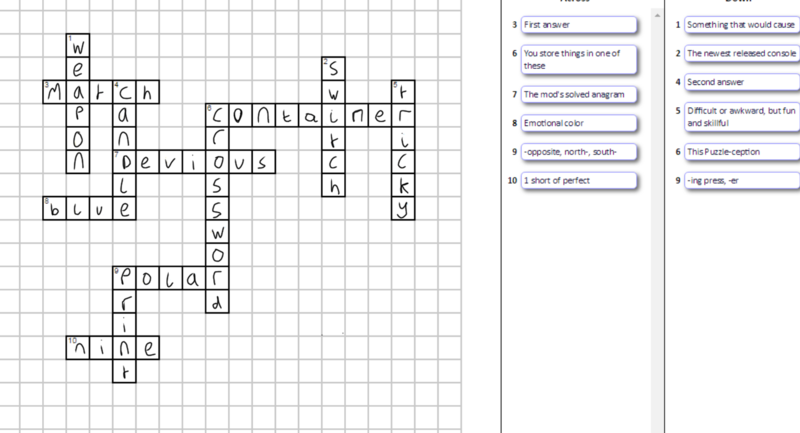 There are two words beginning with C: Crossword and Container. We are told that the one we want isn't the one that is the puzzle. 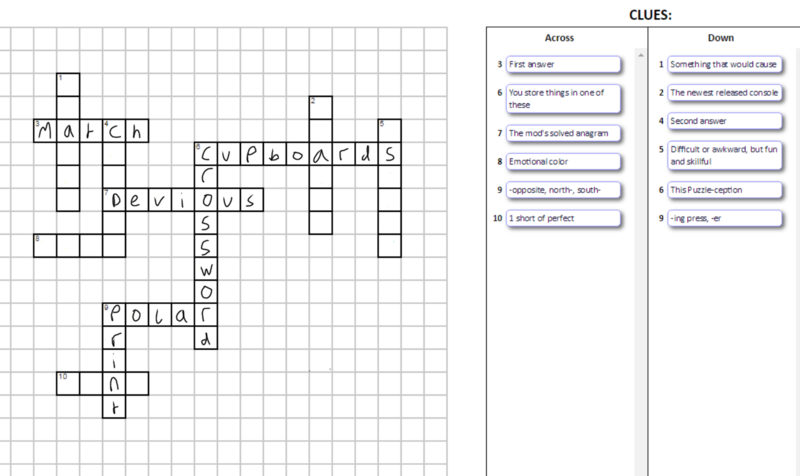 The puzzle is a crossword so we want Container. Explanation (with partial credit to B540Glenn's answer). The third son buys a match and candle. He ignites the candle, which fills the room with light. 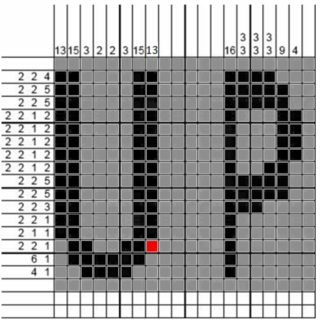 The result of the nonogram is "UP". I am not sure about my answer for 5 down. A lighted candle will fill a room with light. Not the answer you're looking for? 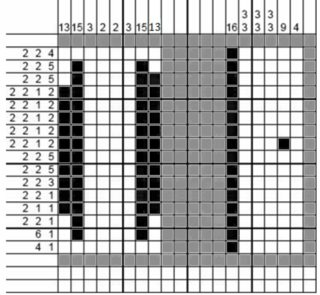 Browse other questions tagged riddle cipher lateral-thinking crosswords nonogram or ask your own question.